At the Omakotitalo fair we met with Lapponia house representatives at their stand. We got free entrance tickets and "coffee and buns" coupons from them. That was nice, but we're a nice customer too :). I hope they still can make some profit on our house :). 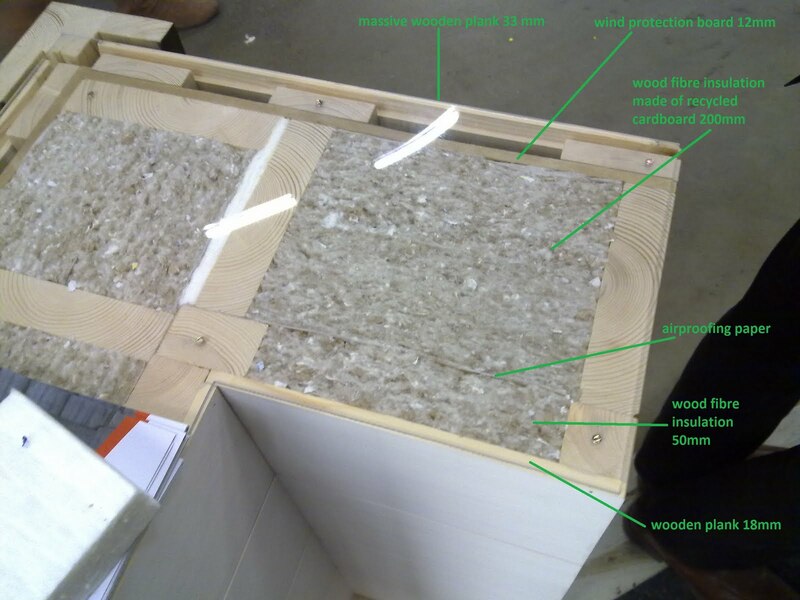 This VITAL insulation is being produced from fresh wood or from recycled card-board. Our house package insulation will be made of fresh wooden fibre. Thermo log wall structure with VITAL insulation. The view of the wall from the outside. 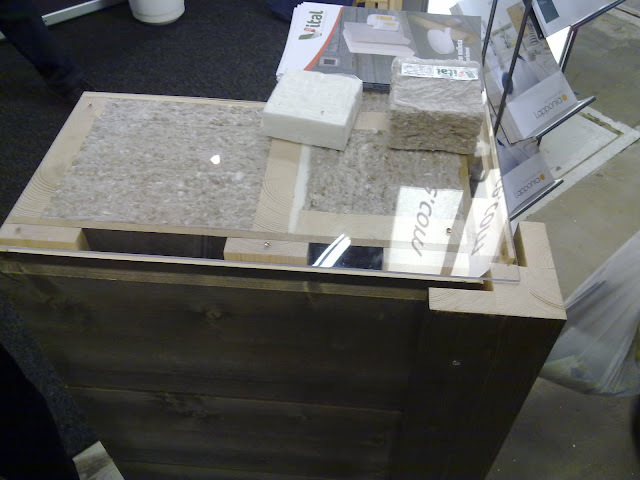 The white insulation is made from fresh wood fibres. The wooden-fibre wall structure from Lapponia House has received recently the qualification of being "suitable"/ friendly for people suffering from allergies, which is almost 1 in 2 people in Finland. That sounds good for us as myself and my youngest daughter have some allergies.